I’m glad you are posting this. 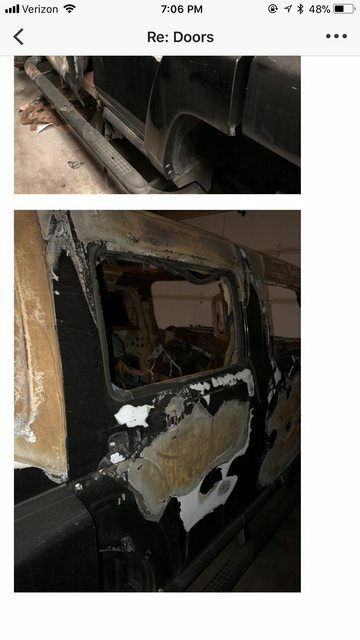 When you mod/wheel at this level...your rig is never really “done”. 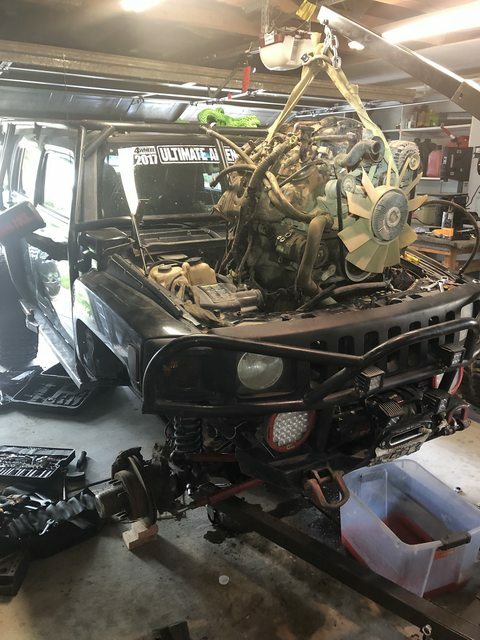 Periodic tear downs are just part of ownership. A lot of people don’t understand that it takes a tremendous commitment to perfection, to get a custom build dialed-in so it can perform at the level that was intended. Lots of experimentation...some things work...some don’t. Lots of wasted time & money. But in the end...it’s not wasted at all. It’s just part of the process. Nobody ever learned a damn thing from success. Failure is what you learn from. You make notes of all the little things that don’t work, and you keep trying different ideas...all to improve your build. Persistence! So many rigs (SEMA) never get this attention. They build it once and call it done. As long as it draws a crowd, and sells a bunch of flashy parts, it’s a success. But in the real world, that just doesn’t get it. Abuse. Break. Improve. Repeat. Yeah SEMA may be a great place to look at builds, but almost none of them are field tested. I know that some shops are working up till the last minute to get it done and some the vehicle won't even start. Lol I seen some funny stuff shared online. 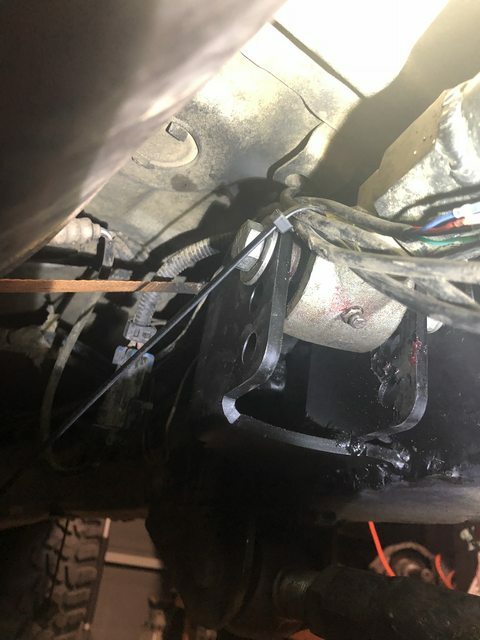 Missing driveshafts, parts being held up by zip ties, bad paint jobs w/overspray. I am glad you acknowledged that CJ. I know you know that but mentioning it is a reminder to people thinking about taking the plunge. 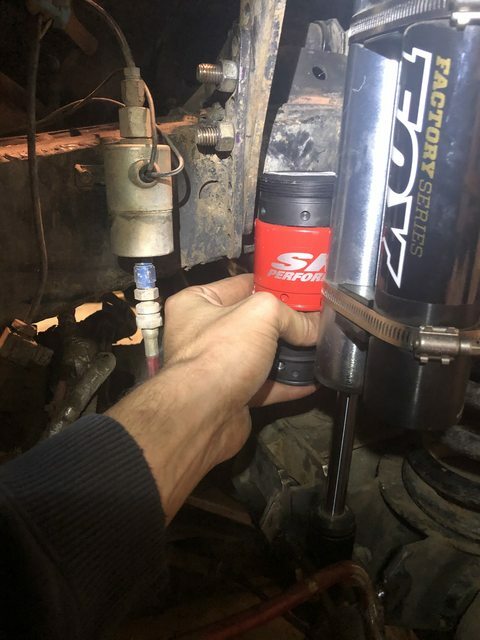 That's not to say that you cant do the SAS and leave it alone but I am trying to push an H3 on trails and obstacles H3's usually don't belong on and that's the hammer trails. 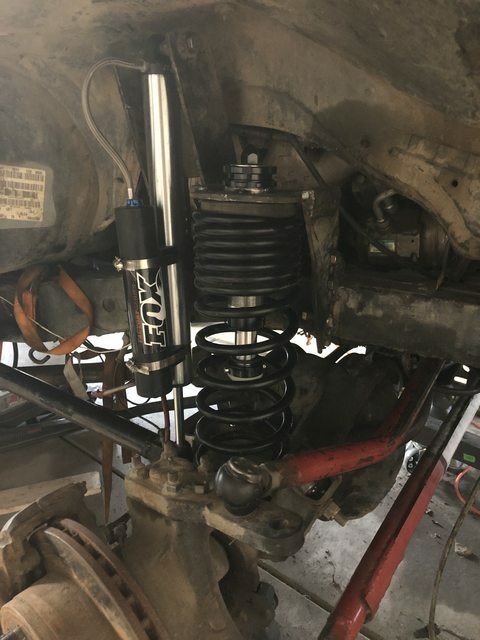 If I kept doing the trails I once did this work wouldn't be necessary but I am trying to get it to the next level...More up travel, more ground clearance no more added lift. I've been home about 2 1/2 months now and this is the longest its ever been down for. Unfortunately its been slow moving since I haven't been working on it every weekend or night like I wish I could! With all the things I mentioned a couple posts back it was time to get to work. 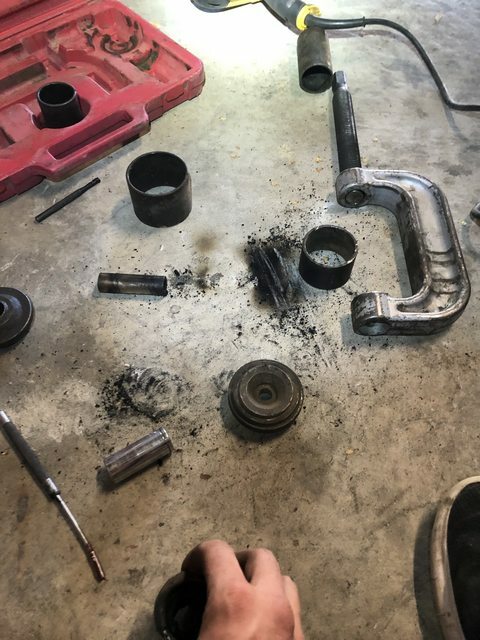 Started off pretty easy....My hub seal was toasted after almost burning up a hub when I bent my axle shaft. 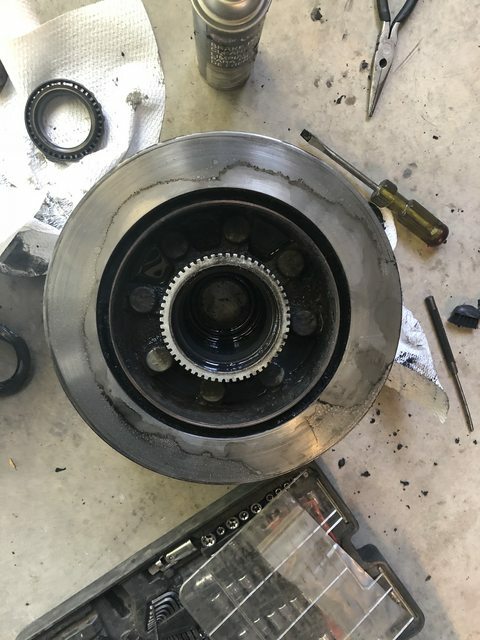 I was only going to change the seal but for good measure I did the bearings as well. Old me would have probably boxed in the whole thing with 1/4in plate without any regard to weight...but now that I try to make an effort to reduce the amount of weight added I must think about it in any way possible....Used some 1.75 .120 wall on both sides of the mounts. A goal was more uptravel with no added ride height. 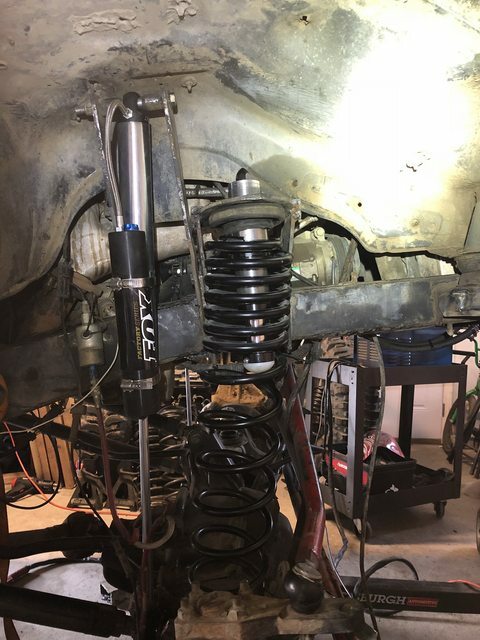 I went from 3.75-4in of uptravel to 5in of uptravel...I got new in the box fox shocks with the compression adjuster I picked up for a steal...installed as well as cycling the suspension, moving some things and some shock mounts I was able to gain about an inch or a tad more of uptravel. Then I picked up some new in the box Light racing 1.5in air bumps for a good price....My old bumps were mounted inboard off the bottom of the frame. I wanted to get them more inline with the shock this time around. Packaging has been a challenge. 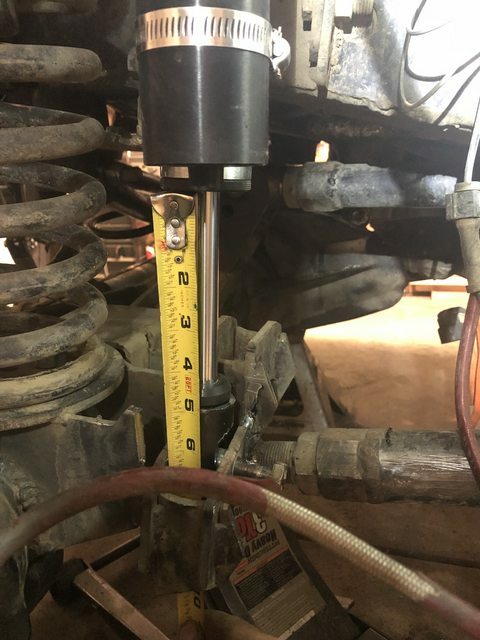 They wont fit well behind the shock because they will come in contact at droop. I could go inside the coil bucket but I fear that it will put too much leverage on the coil bucket. Any thoughts? Here's another view of them sitting below the frame, I don't want them inboard. They were in the spot of my old bumps in that pic...The tube in the middle of the coil bucket and is a retainer at full droop. I could mount them in there but like I said my concern was stated above. That has been put on hold as I think of something. Last edited by 06 H3; 09-23-2018 at 10:01 PM. 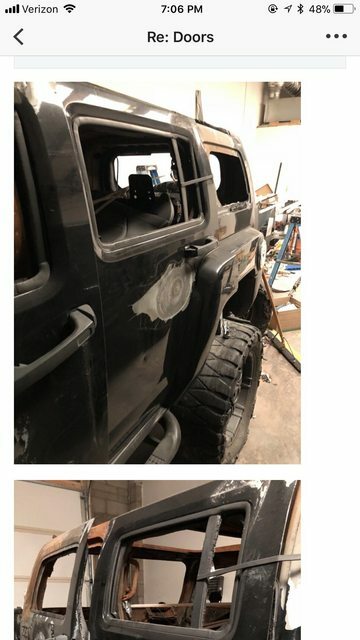 I found some doors on the here in AZ, I will be in AZ for work next month so I plan to drive and pick those up and turn them into half doors. I also was able to have some time to go volunteer at the ridgecrest race...No rig but I got to ride passenger. My trailer is getting some good use! 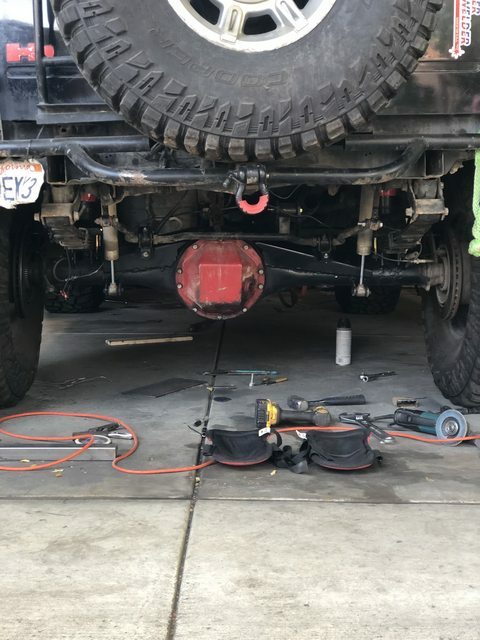 While I sit back and think about the bumpstop situation I decided to get the rear end ready to be torn apart for the truss, anti wrap bar, new leaf spring bushings, perches, bumpstops etc. 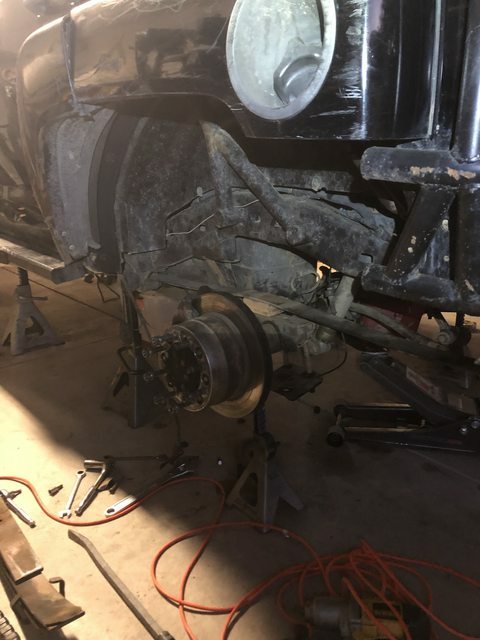 At this point I have rear suspension, gotta figure out what I want to do with the trans, and am waiting on my doubler parts for the t case...that should be done in a few weeks. I am just ready to go wheeling!!!! I also plan to cut out crossmember at the t case and build a new one higher for more ground clearance. Great work! Can't wait to see the rear half doors! Oh also you still haven't posted pics of the front half doors! Curious to see what you can come up with. 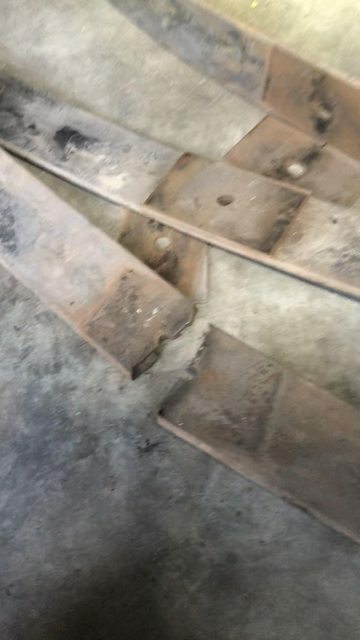 I haven't really said anything yet but I also found a set of 4 doors for dirt cheap that I will be making into half doors. Gonna have to do some renders first to see were I want to cut them. Do you plan to add a crossmember under the motor? 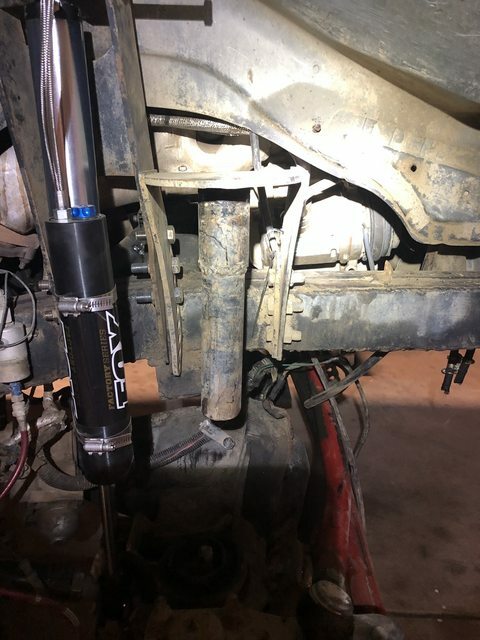 This is something the Aussie did on his build. This might help with the motor mount/frame flex issue. I haven’t figured out a way to do it with the upper link in the way. 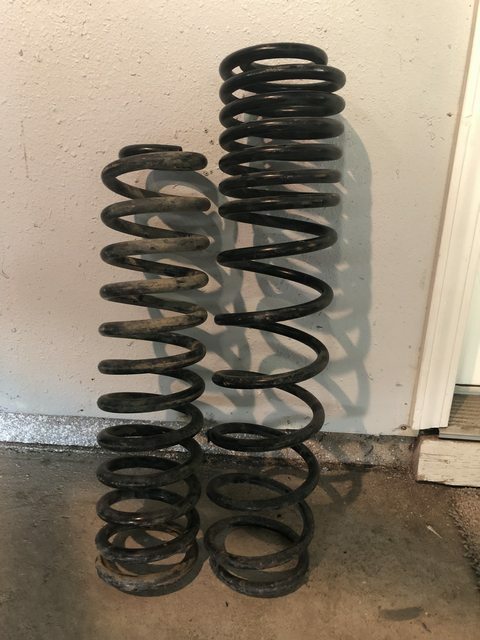 I’m surprised (and impressed) that you are keeping the coil springs. Most rigs at this build level are running coil overs. 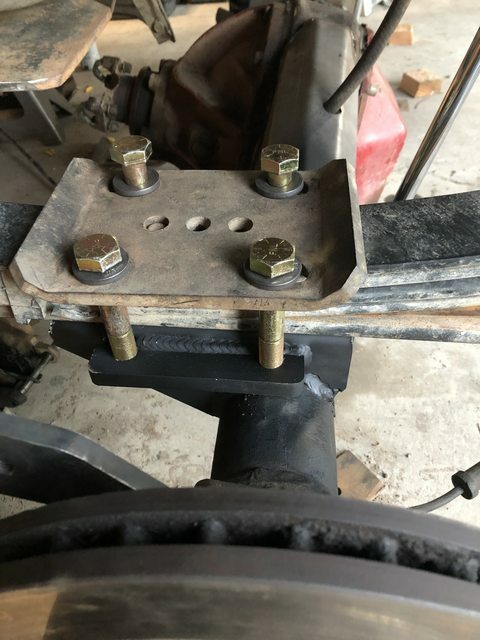 Let us know what part # you end up using for the leaf spring bushings. I already have a crossmember just in front of the motor. 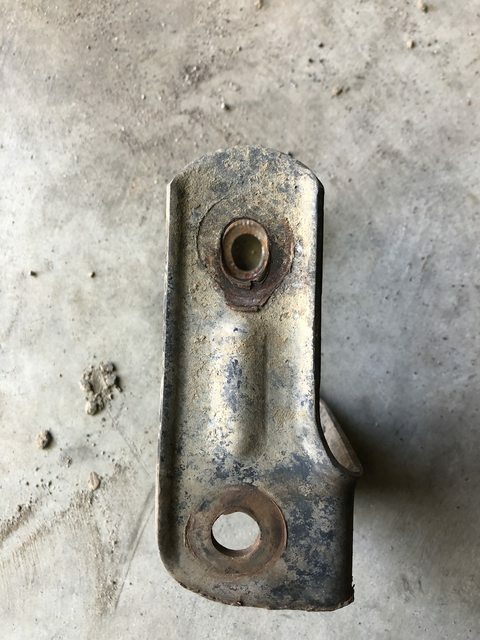 The problem occurred when I lost a motor mount bolt UA2017...after almost 3k miles of highway, offroad, etc. 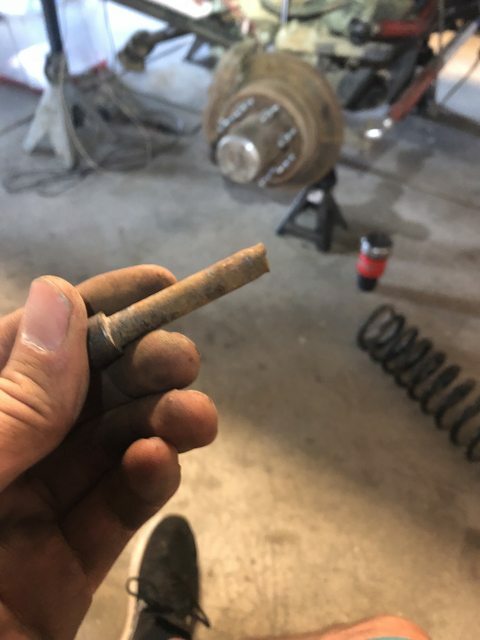 when I got home I did a once over on the truck and the bolt was gone! During the first UA we had a day where we did about 200 miles all on dirt! 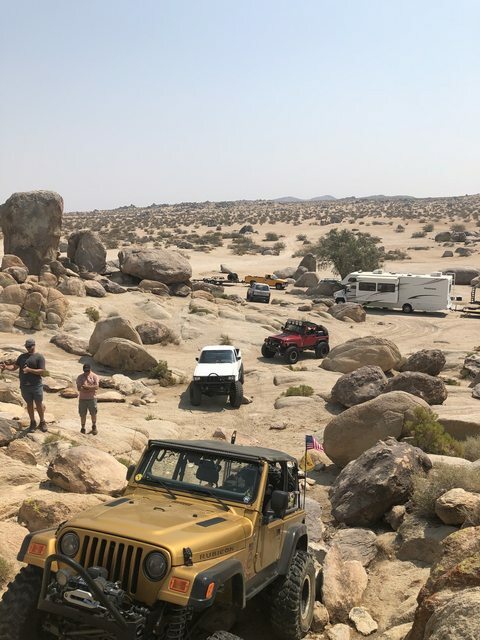 No real gnarly rock crawling but we spent literally an entire day on backroads...just rattling everything loose. 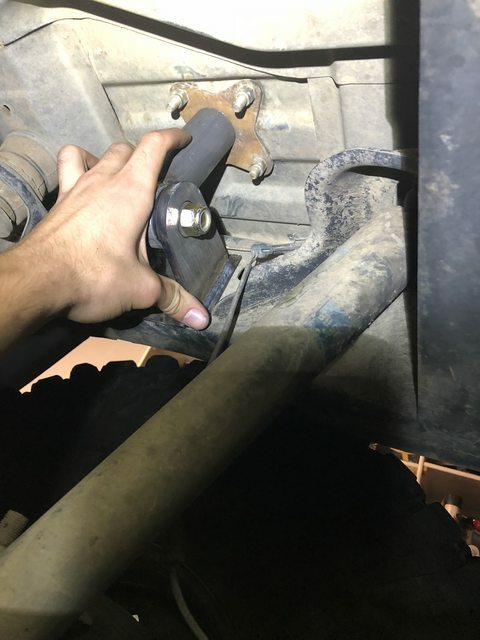 that night I did a bolt check as did many others and everything had loosened up...I never thought to check a motor mount bolt. I just checked suspension. 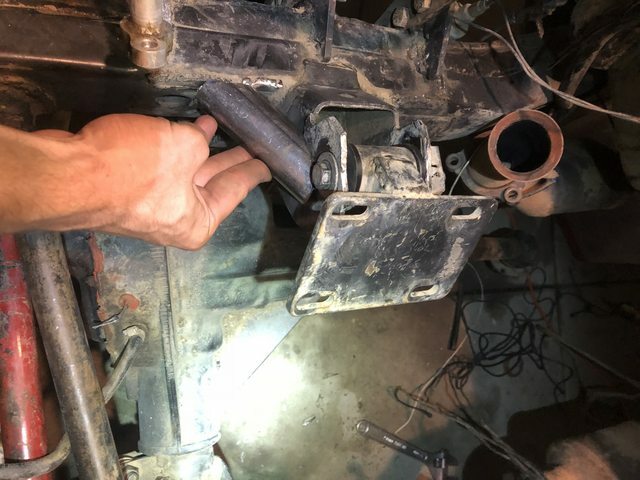 Sure enough the missing bolt allowed the motor to move around enough to bend the mount. So I don’t think frame sas movement caused the issue. I’m just doing it now for good measure. I could do all that, but the time and money that it would take I would be down for a while. I tried to look at what I truly needed! I wanted more uptravel but if I could get some without major modifications I would do that over chopping everything up for max up travel. The 5.3 is great but the power is in high RPMs, on the highway it will want to downshift to maintain a speed vs chug along like a torquey 454. I wanted a tow cam but figured it’s works, I can do that another time. Rear end, I could solve what I wanted with linking it but I want to try the simple approach of an anti wrap bar first. That’s the long answer lol, at some point I may go coilovers, idk...if I’m guessing my next step to improvement may be linking the rear if I can’t get the rear end to be planted on hill climb launches or a tow cam in the 5.3 or 6l80e. I want this thing to drive all day at 80-85 mph with cruise on in OD. All the above may happen. I just want to do it slowly...I’m itching to drive the thing! I shouldn’t have neglected it so long requiring a full tear down. I like the smaller projects to focus on one thing...instead now I’m literally just taking everything out. I’ll have to get some pics for you, they will be similar to the fronts, lots of storage. 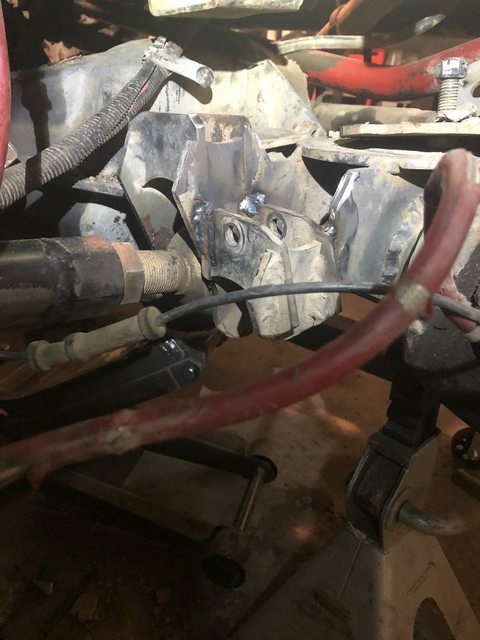 Here is a pic of the coil bucket....I am considering putting the bump inside of it but am worried that's too much leverage on the mount when bottoming out going fast in the desert. 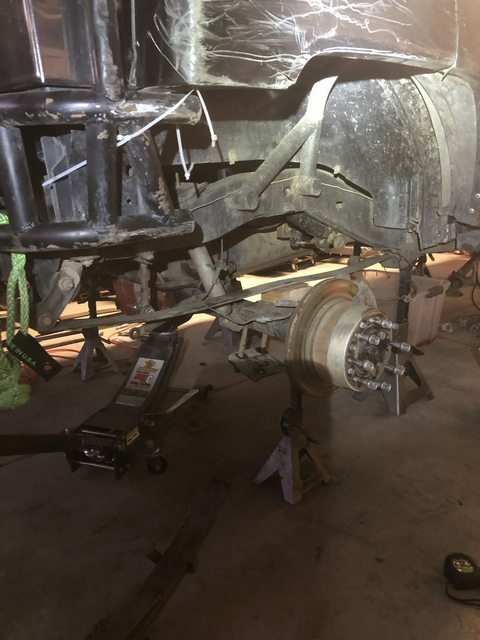 Got the rear suspension tore down to a degree. 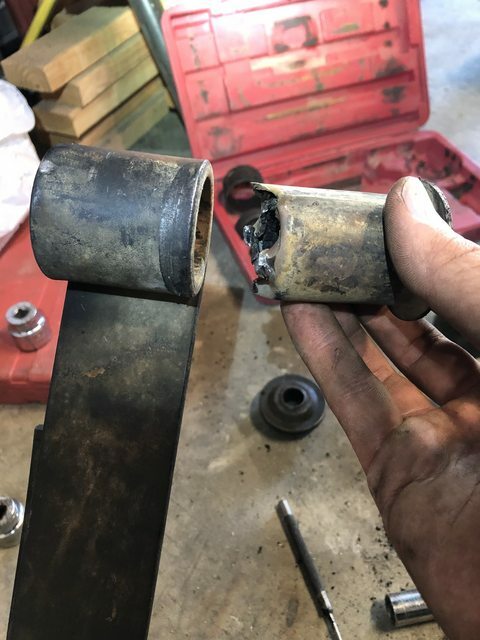 I think I found a problem! My theory is that the leaf broke first. I have 2 sets of leafs. My factory H3 leafs that came off the assembly line and these...These are H3T leafs with an add a leaf in them. The add a leaf broke! When it broke it allowed slop and snapped it. That might be part of my complaint of why the rear end felt like it was wrapping vs putting power to the ground ASAP. 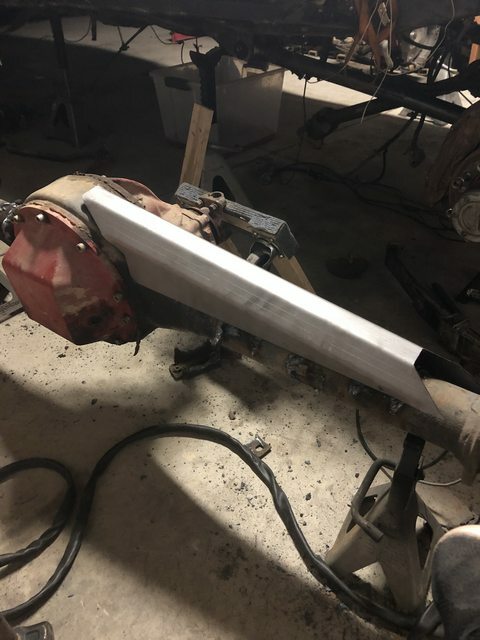 In an attempt to set up bumpstops properly I tore it down, measured the length of the leafs below it, put in a block of wood to account for it and bottomed it out. This is its current shock bottom out. The Shackle isn't that far back at full bump...is that an issue and should I move the fixed hanger back an inch? I am curious how much of the shackle not moving is due to hammered leaf spring bushings. Those will be replaced with the other leafs. Last edited by 06 H3; 09-24-2018 at 11:29 PM. So....the never ending project continues! 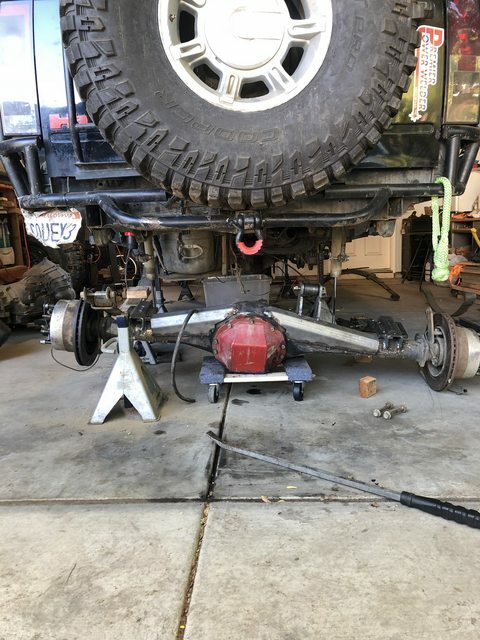 After pulling the springs and bumping it to the desired arch with only the main leaf in I grabbed my OEM leafs and swapped out the bushings...First one was a pain but it got easier with time! 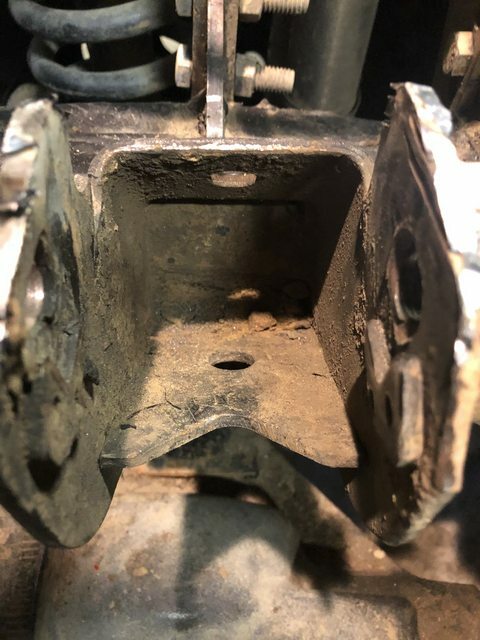 I also took off the rear shackles to find the bolt holes completely oblong! While down there I had to help my brother pull his supercharger on his JK to replace a torn AC Line...That was fun. My buddy also gave me a set of his TJ Metalcloak springs to try out. The ones I have are from rusty's off road and unseat rather quickly. Much longer free length, as you can see the rustys are much bigger coil wires but at the same time the MC ones are spread much further apart (the further apart the stiffer right?) I will try them out but my concern is being too soft. As you can see below these barely unseat compared to my old ones...They are retained on the bottom but the tube in the middle retains the top. The rustys offroad ones unseated almost to the bottom of the tube. I also picked up 2 trigger accessories wiring systems for a steal at the expo! What I love about these compared to the spod and switch pro is that while those 2 systems still run one bulk wire through the firewall these run ZERO! The switches wireless talk to the little box. Last edited by 06 H3; 10-09-2018 at 09:14 PM. 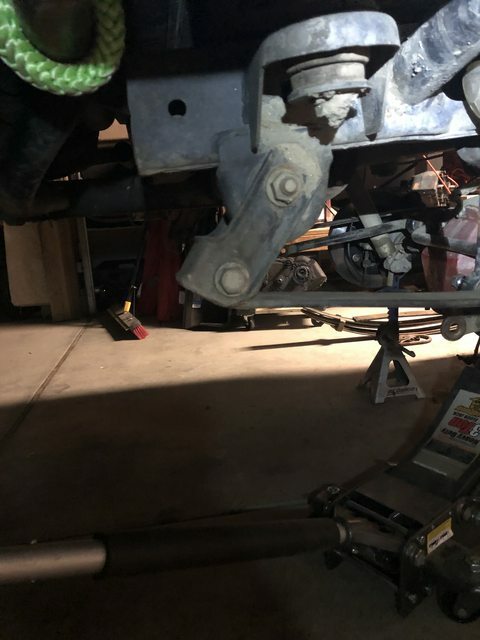 To continue on the rear end...I cut off the rear spring perch and welded on some new U bolt eliminator +2in wheelbase kit from ruffstuff. 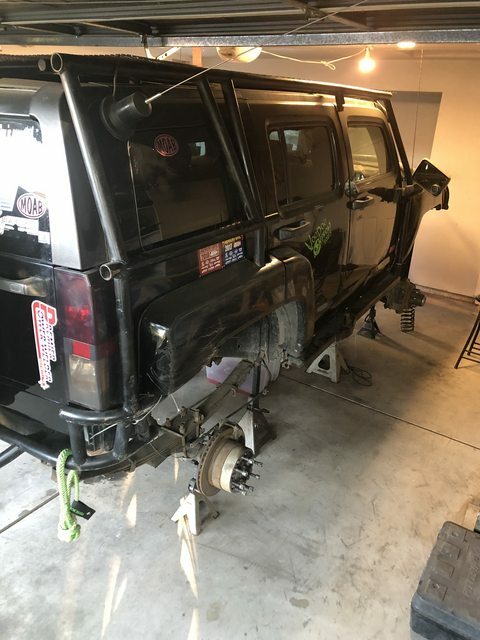 Now I have stretched the wheelbase 2in. Before this I was 1in stretched with their standard perch. I also mocked up a 9in truss...Its before I ground everything down after I took a plasma to the old brackets. Ignore the two bolts that aren't bolted down...Its just for mock up. I got the rear end on its own weight. The new spring perch is 3/4in taller then the old one but the springs seem really flat! I'm curious if the +2in perch is causing it to sit at a point on the spring flattening it out more or if its strictly add a leaf related. I figure I could take my main leafs I have now and cut them down and use them as an add a leaf or just do a longer shackle since I need new ones anyways. I am not sure about spring rate or what the best option is at this point. Once I get ride height I can finish the anti wrap bar. Last edited by 06 H3; 10-09-2018 at 09:13 PM. 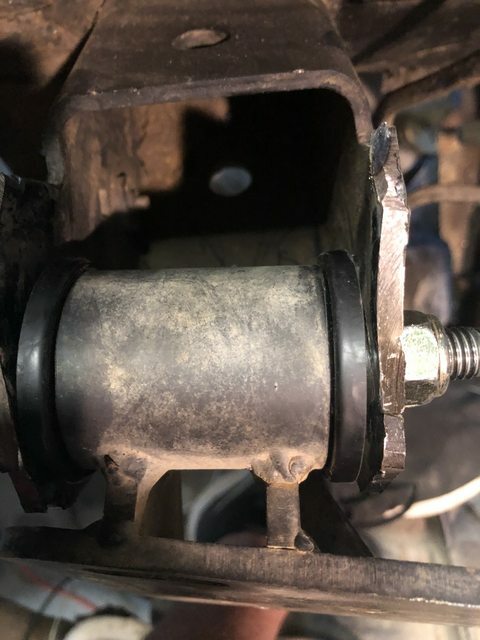 If you go the longer shackle route i believe it will end up rotating your pinion angle and start moving your axle forward decreasing your wheelbase. I’m going to grab new factory shackles and beef em up. The fun continues, anti wrap bar is done. 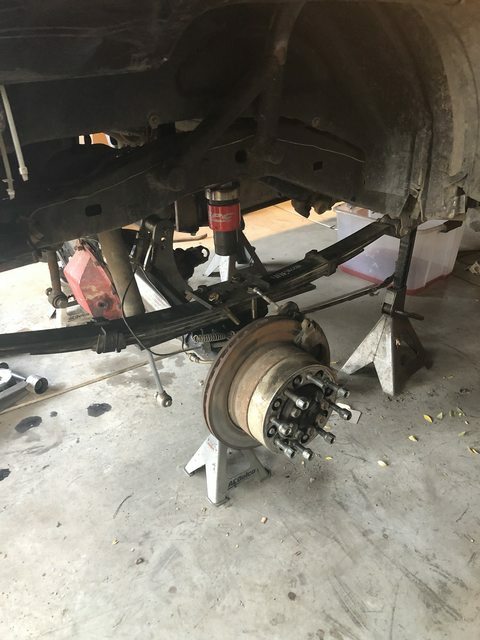 Rear suspension is done except for sway bar. 4.5in of uptravel rear 5in front. 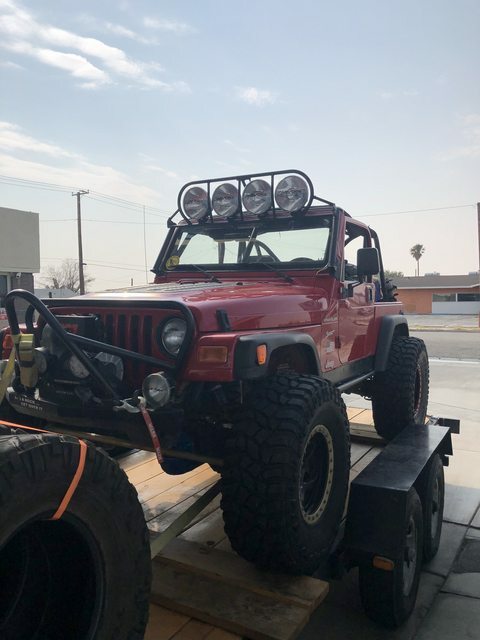 I picked up a used trans with 80k on it from Dana 60 H3 since he’s doing his 6l80e swap and I picked up rear doors in Phx from a member on here, thanks again!!! Those will be half doors but not on the immediate list. 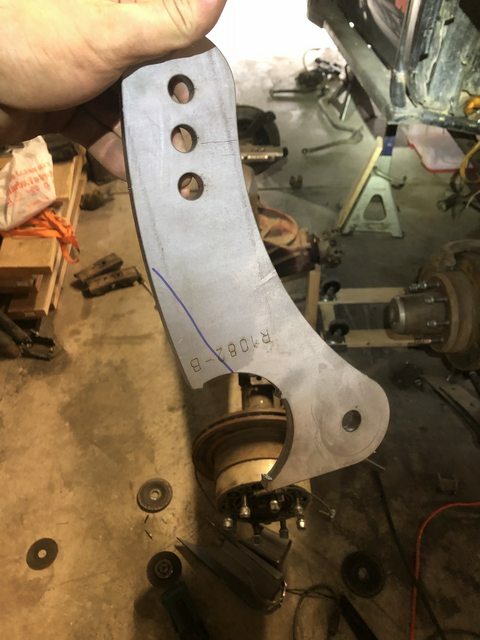 I cut out my trans crossmember that was done for long control arms during the SAS. The new crossmember will hopefully allow nothing below the framerail. I welded in a new 3rd link bracket with 3 holes for adjustability vs my old one with a single hole. I can now start playing with link placement for different handling characteristics. Everyone gets carried away with the link calculator. 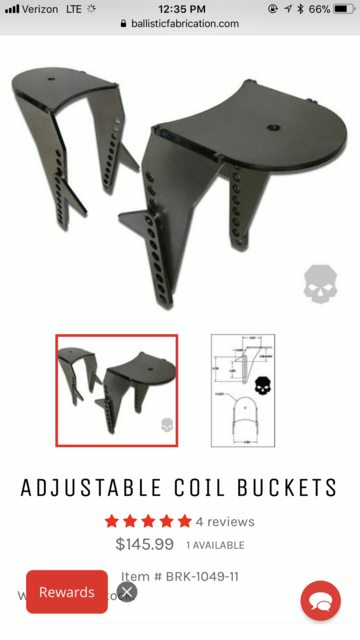 I want to see if there really is a difference by seat of the pants. 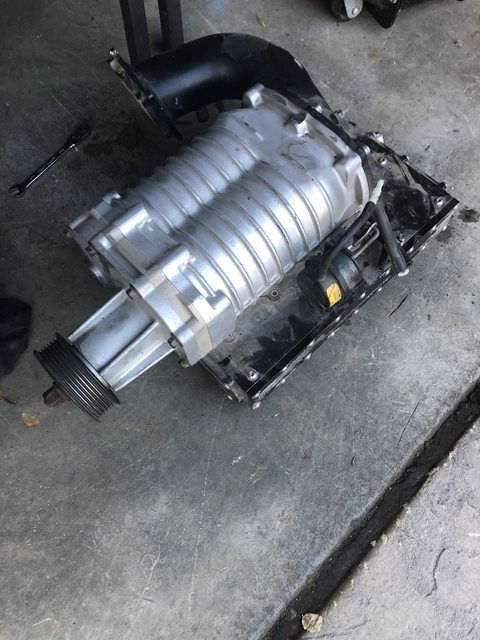 The new to me trans is in and the trans lines are in. What a pain, I found out the hard way they changed transmission line fittings after 06. I had to change a fitting over but it was an hour of frustration before realizing the issue. I still have plenty to do but I’m hoping to be done by the end of this month. Finished the rear end completely! 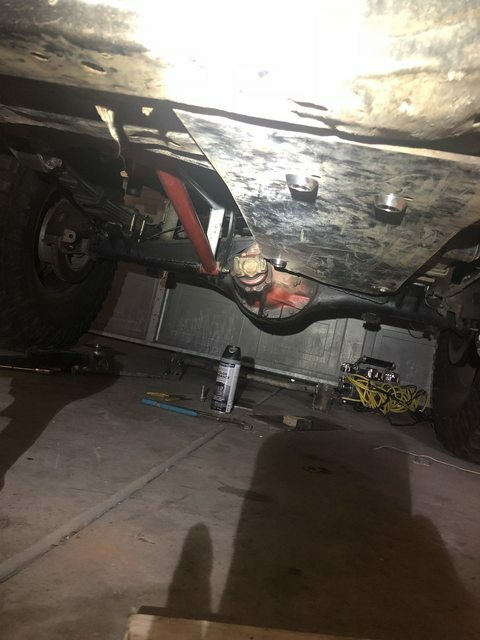 Ignore the unequal length shocks, I had the front flexing out causing the rear to squat on one end amd bent shackles that have now been replaced to make it all even. 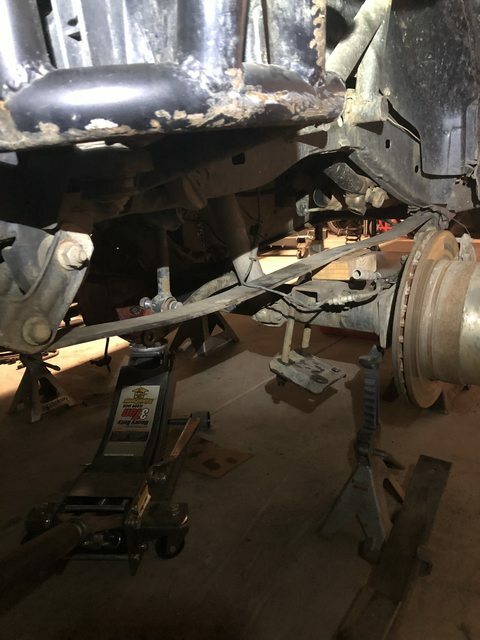 Probably bumped, anti wrap bar, new bushings around, shackles, air bumps, more uptravel, new hub seal from the torched one when I broke the shaft, modified 9in truss from ruffstuff, u bolt elim perches, and I am sure I am forgetting more. Don't have to touch the rear again!! Modified gas tank skid bracketry and through those little bolt head protectors on...Need to get one more. 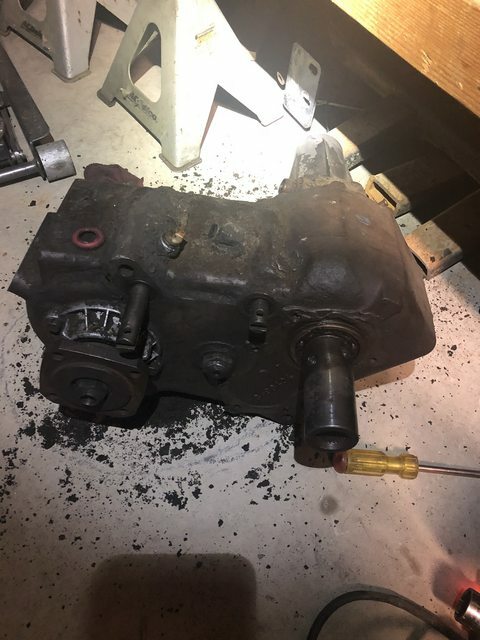 Started cleaning up the 205...ORD parts ordered, SYE, Yokes, and I already had their twin stick rails and VSS from behemoth sitting on the shelf for a while. They should be here Wednesday. 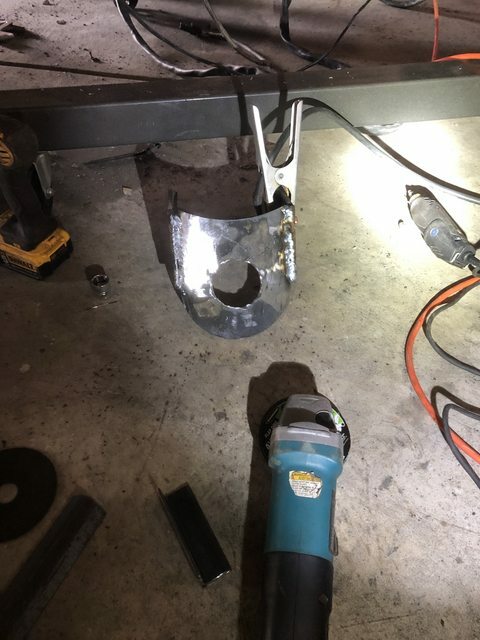 I really really didn't want to mount my bumps inside the coils due to added stress on the bucket but there was not many other options....Still need to build a lower landing pad for the bump. I will add more reinforcement and tube from the bucket to the frame once I make sure this coil rate is correct...I am afraid it will be too soft. 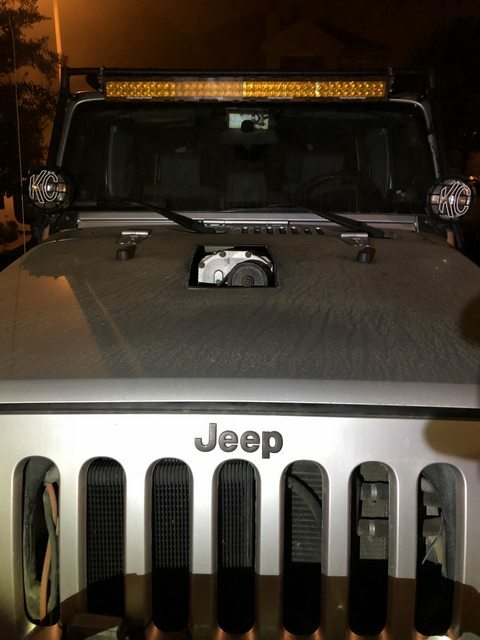 Its a 5.5in metalcloak coil for a TJ. 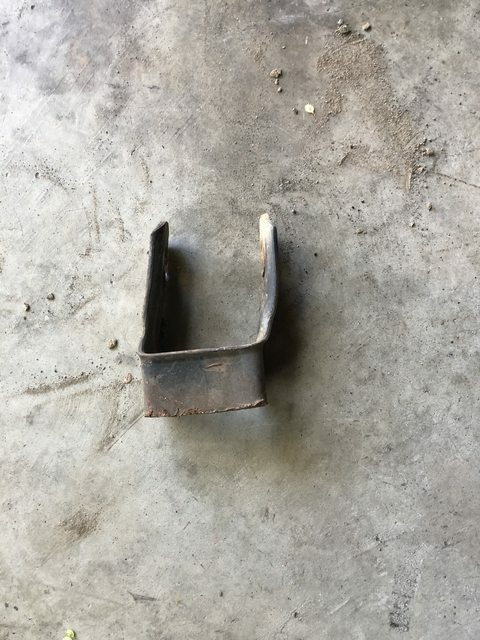 My old ones were 4.5 for a ZJ. the "bumper bounce test" seemed ok so far. 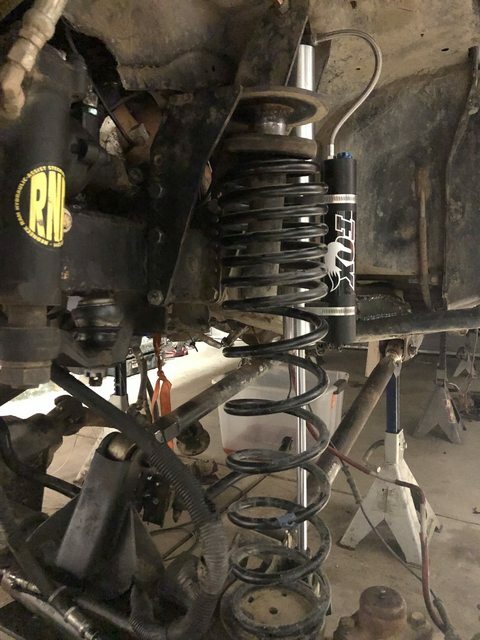 I can still work on the wiring aftermarket accessories, finish up the bumps, mount the front sway bar (from a rear FJ80) but then I just need to build the crossmember and do the 205 doubler. You have gone ballistic! lol still working in your parents driveway?